Discover your organization’s purpose and spark a movement with your team and customers. 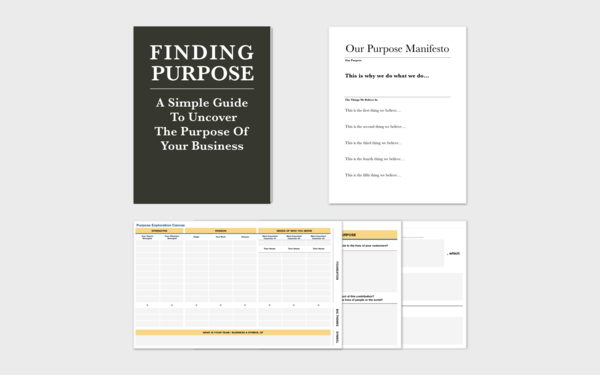 The Purpose Project is a curated compilation of resources - research, reports, articles, talks, and more - from business thought leaders around the world to help your brand and organization become purpose-driven. Over the past few years we have helped teams, companies, and brands clarify their purpose, activate it in their enterprise, and embed it in their strategies. Along with resources from around the world, The Purpose Project is where we share what we've learned along the way. Accordingly, we’ve divided the resources for becoming purpose-driven into three sections. Here they are. It is free for a limited time. The Purpose Project is made up of individuals passionate about purpose in our lives and work. We research and come up with creative and better ways for individuals and organizations to discover their purpose and to start movements to achieve great things. We spread these ideas through publications, workshops, and seminars. The Purpose Project is based in Los Angeles with team members in US, Tokyo and Asia. Since 2010, it has developed seminars and courses on purpose-driven marketing and branding for private companies as well as universities. We are inspired by individuals and organizations that do great things to change the world. We believe they have one thing in common, PURPOSE. Purpose sparks movements. Movements move mountains. And great things happen! Our mission is to spread this idea of "purpose, movement, and greatness!"